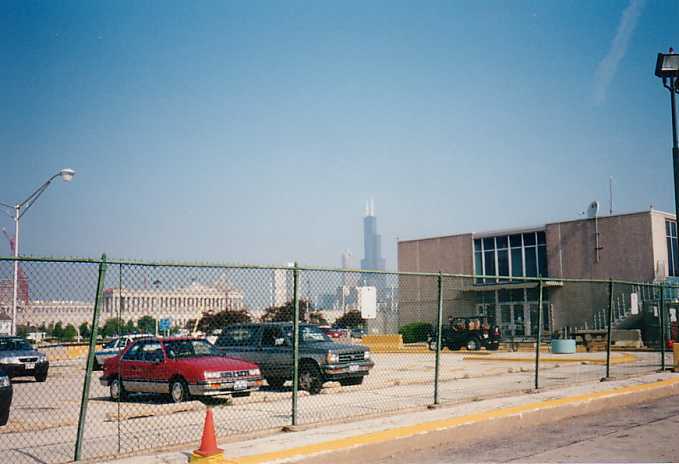 on June 10, 2002 at 9:18 A.M. CDT after completing the first stop of the trip. 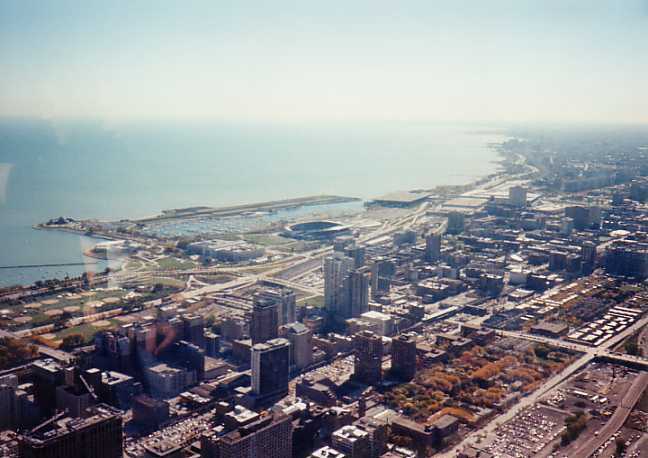 This is a picture of the former Meigs Field and Soldiers Field that was taken from the Sears Tower on October 15, 2003. Now Meigs Feilds is completely destroyed. This travesty is quite the testimonial to the total lack of open and honest government in Chicago. RickTrip.Com is my latest website which has the server space for many pictures. RickProft.Com contains some services I can render upon request.